CIPD gets its own Daily Mash parody: A sign of the times? 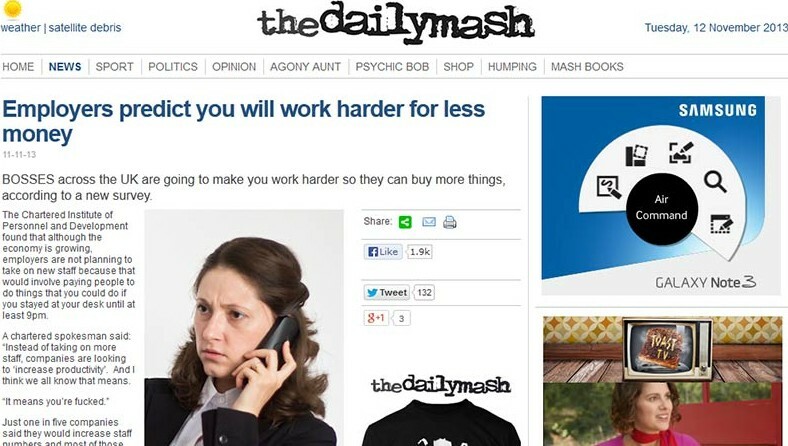 The CIPD yesterday got its very own parody story on UK humour website The Daily Mash. But is it a sign of the times – and of the increasing prominence of HR issues in the UK public consciousness – that the CIPD should be the subject of a parody?